If you didn’t have the opportunity to have traditional braces when you were a child, then you may still want to have orthodontic treatment, but not the mouthful of metal. No worries. With ClearCorrect Invisible Braces, Dr. Gary Klugman and Dr. Christina Bianco at Blanco Circle Dental Care have made many smiles around Salinas, CA, more attractive and they can do the same for you. When you come to Blanco Circle Dental Care for ClearCorrect, we’ll take impressions, photographs and x-rays of your teeth. These, along with a detailed prescription from Dr. Klugman or Dr. Bianco will be sent to the ClearCorrect lab where a 3D model of your teeth is created. From this, a treatment plan is developed to show you how and where your teeth will move through each phase of your ClearCorrect orthodontic course. If you and the dentist approve the treatment plan, then your aligners will be fabricated in the ClearCorrect lab and sent to Blanco Circle Dental Care. 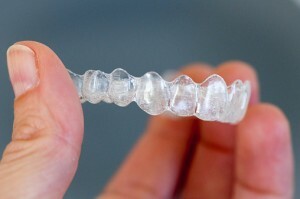 The aligners arrive in a series of sets. You’ll need to wear each set for about three weeks before moving on to the next set. As you progress, you’ll see your teeth gradually move into position. Depending on your unique situation, treatment may take one to two years. Then, you’ll see the beautifully straight smile you’ve always wanted. If you’d like to learn more about what ClearCorrect can do for your smile, then call for a consultation at Blanco Circle Dental Care. We conveniently serve patients in Salinas, CA, as well as Hollister, Monterey, Seaside, Prunedale, Marina, Greenfield, Gilroy and King City and beyond.